Posted May 9, 2017 by The Rapid & filed under News. 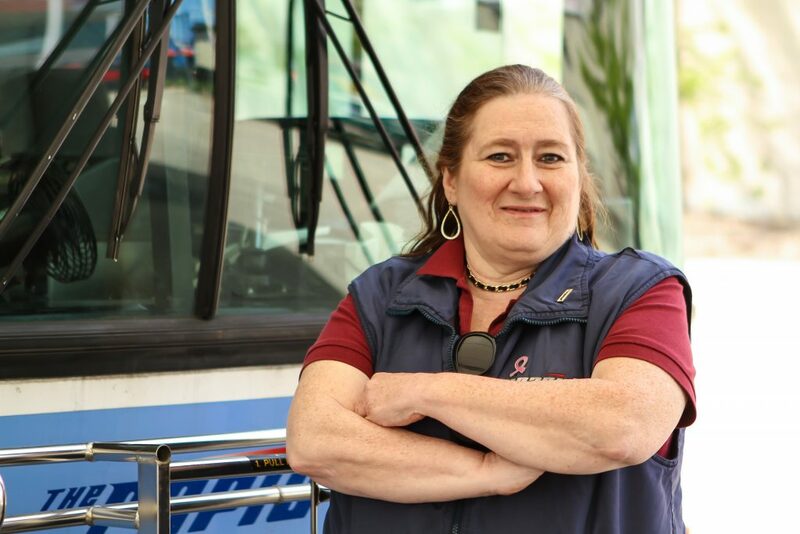 BUS OPERATOR OF APRIL 2017: MAGGIE H.
I started my driving career in 1979/80 with the public schools. However, I just celebrated 10 years this past January with The Rapid. That’s a total of 38 years as a driver! I like the passengers best–young, old, rich poor–I have love for them all. Music of all types is a great backdrop to my life as I grew up in a musical family. I like to sing and play my saxophone when I have the time. Aside from music, I’m an idealist. I’m passionate about imagining a world where people treat each other right, where love prevails. Congratulations, Maggie! Thank you for all you do.